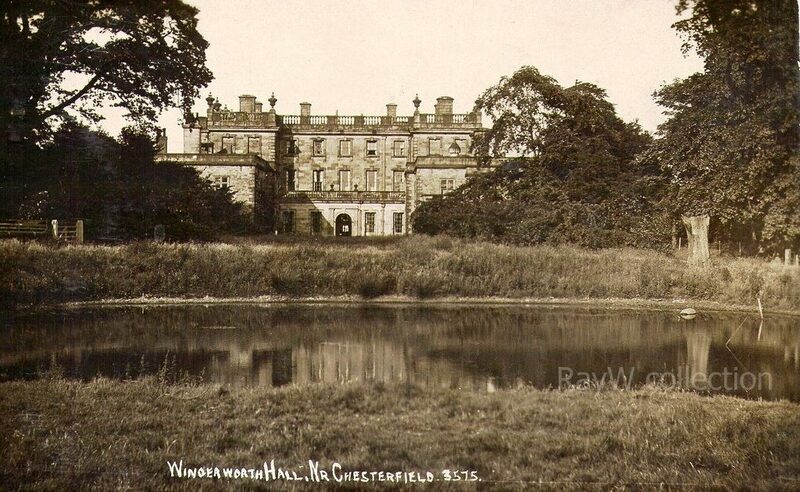 Wingerworth Hall near Chesterfield in Derbyshire began as a small hall in about 1600, rebuilt as a much grander residence in the 1720’s and Wingerworth Hall was finally demolished in 1924 due to insufficient family wealth. There is a fascinating story surrounding the history of its ownership. This site attempts to present an in depth view including unique and unusual aspects of the Hall and Estate. Information has been researched from many sources including a private collection of artifacts. The story seems to be a never ending one as the complexity of the history of the Hall and Estate continually throws up fresh avenues to explore. There is so much information, some of it as yet uncovered and much more is out there waiting to be added to the story. Anyone viewing this site who has ANY information no matter how much or how little please contact me. Please do not right click !! Ask if there is something that you want.